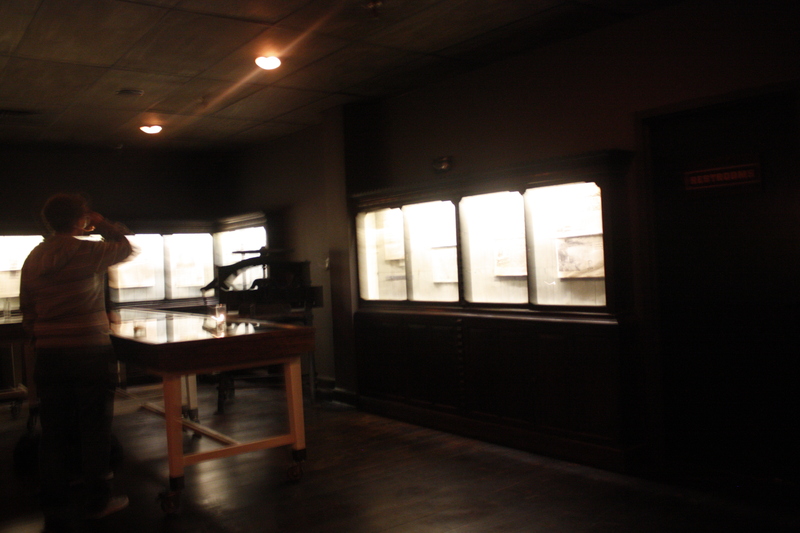 From the same group as Bourbon and Branch and Wilson and Wilson, Local Edition has a welcome place in Soma on Market. 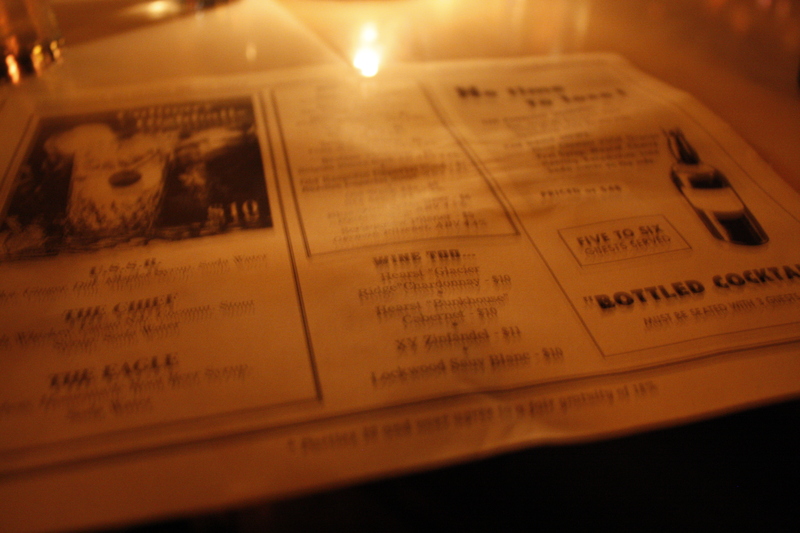 The downstairs bar is different from its brothers in the sense that no reservations required. 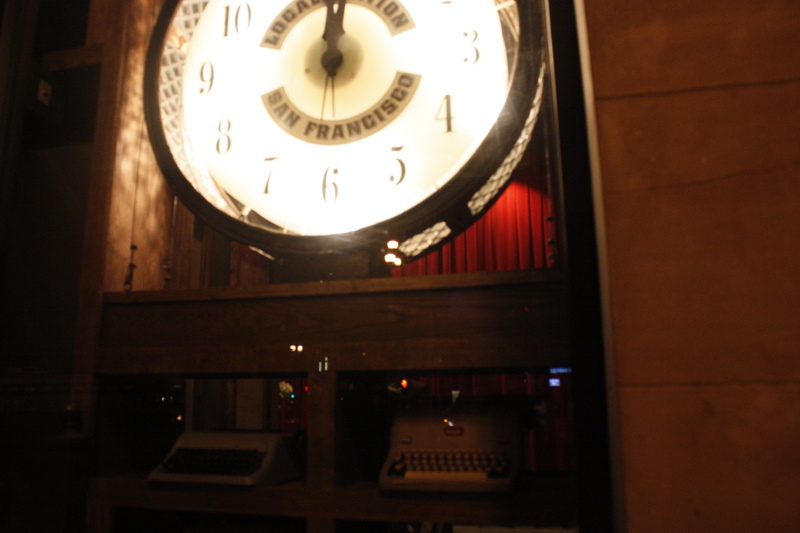 The bar is an homage to news and San Francisco history and has vintage typewriters and newspapers. There is supposed to be live music Friday and Saturday evenings and is open most evenings until 2am and is located in the SF Examiner’s former printing press. 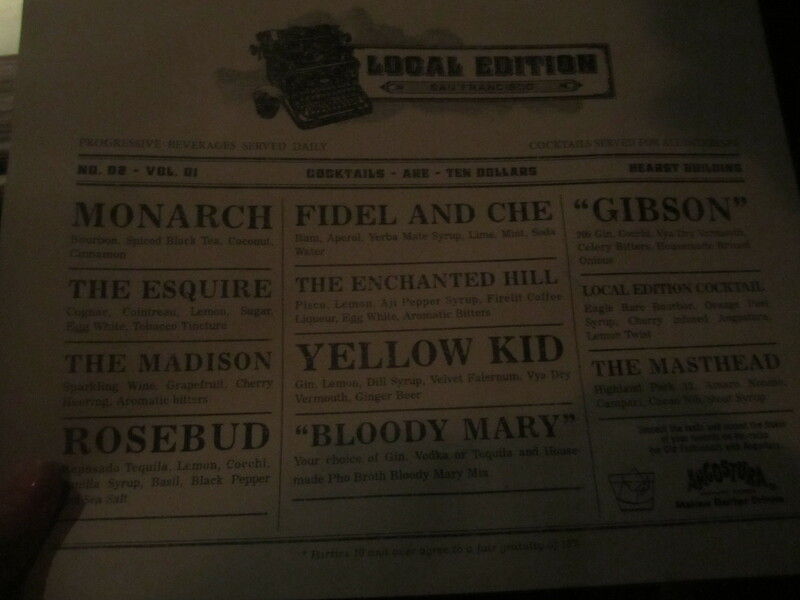 The drinks at Local Edition are priced at $9, which is very reasonable for the quality and level of craftmanship of the cocktails. The names of each drink is kitschy and fun. The bartenders worked quickly to pump out drinks and properly address the growing crowd’s orders. We placed our names for a table and enjoyed our first set of drinks before finally settling into a table. 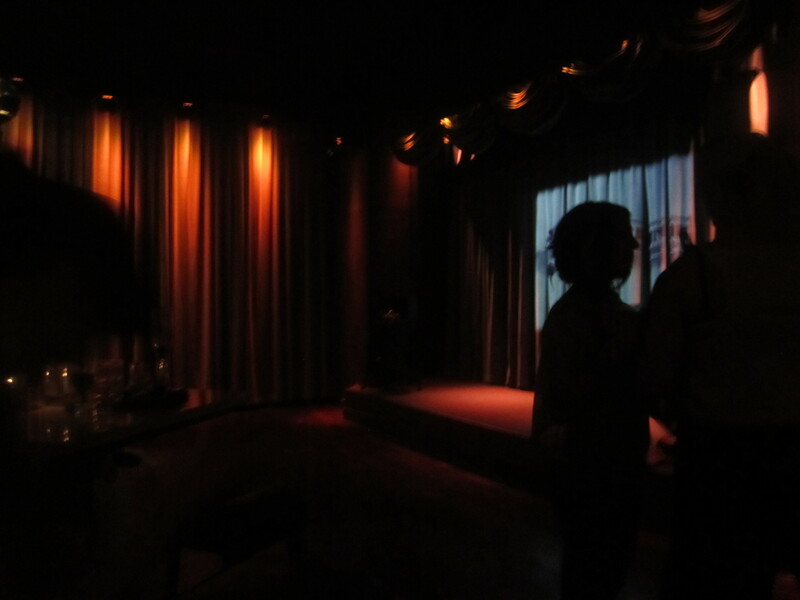 Table service has yet to be honed and the frequency of touch points was limited and less attentive. There are a few beers and bottle cocktails which serve a group of folks (the equivalent of a scorpion bowl). 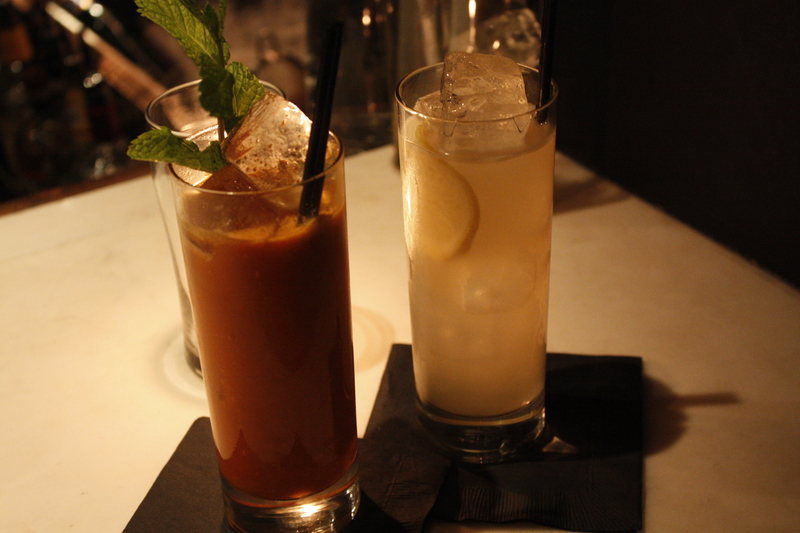 We enjoyed the Yellow Kid with gin, dill allspice syrup, dry vermouth, lemon juice, Velvet Falernum, and Fentimans ginger beer, as well as a Fidel and Che with Aperol, yerba mate syrup, mint leaves, and soda water. The Fidel and Che tasted like a sophisticated Thai iced tea. Lovely. Next time, the U.S.S.R, a variation on a Moscow Mule, with vodka, ginger-dill syrup, and soda water. The Madison was a pleasure to drink because of the sweetness of the sparkling wine, grapefruit, cherry heering and aromatic bitters. The Rosebud with Reposado Tequila, lemon, Cocchi, vanilla syrup, basil, black pepper and salt was a unique drink and had a really nice finish.